Our Sunday morning service begins at 10:30 am, we hope you come join us just as you are! We begin with praise and worship lead by our awesome worship team! Our goal for this time is to draw near to our Father. Worship is a time to meet with God and be refreshed in His presence. We want you to feel comfortable and at home. After praise and worship with the entire family, children and teens will be dismissed to our classrooms downstairs for a fun, biblical lesson and snack if they choose to join. 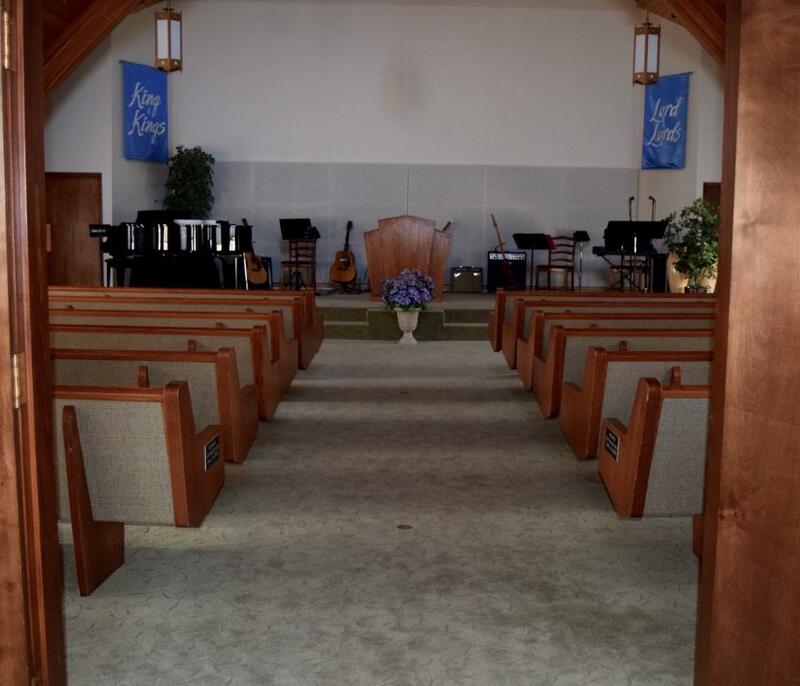 Our sanctuary has a convenient nursery attached for infants and their parents that is equipped with a speaker system and window so mom and dad don’t miss out on the service. Following worship, an encouraging message is taught by Pastor Marcie or Pastor Wyn. Our pastors strive to follow the leading of the Holy Spirit and deliver truths straight from the Bible that help us live abundant lives in Christ. After our service there is a time of fellowship downstairs with coffee. We would love to connect with you and get to know the awesome person God has made! On the last Sunday of every month we partake in communion together as a church family and encourage children and teens to enjoy the entire service with their parents in the sanctuary. In addition, every first Sunday of the month we host a pot-luck style Fellowship Supper after service. Please come and join us!